Disclaimer – This post is about a personality and it has to do nothing with any kind of financial things. I know it is going to be not very welcomed post. But believe me.Sid Mallya is doing lot of things in a great manner which several rich guys actually never got guts to do. Two years back one of my relative died. He was a big cloth business holder in Delhi’s dense business area Chandani Chowk. He died at 1 o clock noontime. His staff told his relatives that his both sons took money and bought themselves RADO watches for themselves before his crimination. Can you imagine the frustration of living under the boots of ultimate rich father who never allows you to spend a single dime yourself? Two days back I saw Sid Mallya cheering up and shouting for his IPL team. Oh My God! This guy is doing all the things in one go. And very smartly. 1- He is a super fit guy – Show me one picture if Sid Mallya is fat or in bad shape. Yes you will not find a single picture of him. He is super fit guy and taking great care of his haircuts,face and body. He is a truly a young chap, having passion for his body. He is not a 10 tones rich guy,desperate to get fame for reducing fat overnight by stomach surgery and claims Yoga for it. Once he was chubby in early twenties days but now he is growing up like a super model himself. At his age several business persons get fat, get married and start wearing cholestrol belts on bums and tummy. 2- Well educated with great public manners – He gets lot of abuses and several threats on social media till now. You go to his public profile and you will never find any cheap outburst from him. People keep ranting on him for being Vijay Mallya’s son or Deepika’s Ex. But he is ultimate polite always. Ignoring all bad mouthing in a decent way. He is far better than Rahul Gandhi who is not properly educated or having even public mannerism . Very rarely you can see him abusing anybody. 3- Happy heart n funny always – His tweet sense is excellent. If he is replying back to tweet, it is always condensed and to the point. Once some guy questioned him about the money he spent on Deepika Padukon. But his reply was too sharp n funny “Thanks for reminding me about that transaction”. 4- His less dependency on politicians – He is at least not a guy who kills people on road and than stand with high politicians on dias of hospital functions to prove “Mera baap sare politicians ka baap hey”. He knows how financially things are turning bad and he is trying hard to avoid the negativity. 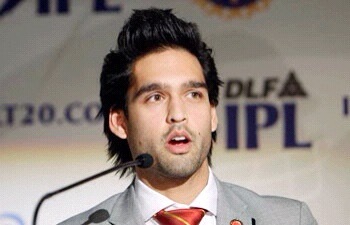 5- He is Sid Mallya and he knows it – He knows his background well. He is partying hard at the moment of joy and sits back quietly in his cocoon if things are going not so good. He is not thrashing cameramen or media. He knows his father is living a life full of complexes and from his part he is trying his best to not create more ruckus for his father. Remember when Salman’s father create nuisance by pointing fingers on Indian Judiciary by giving statements on their well known sons “pachas crore kharcha kiya tha to mera beta bari hua”. Sid Mallya and his father are away from cheap remarks. What they are doing, no idea but at least Sid Mallya is away from publicity gimmicks.